The Multiplex 10 Kickstarter ends TONIGHT at 10pm Eastern! 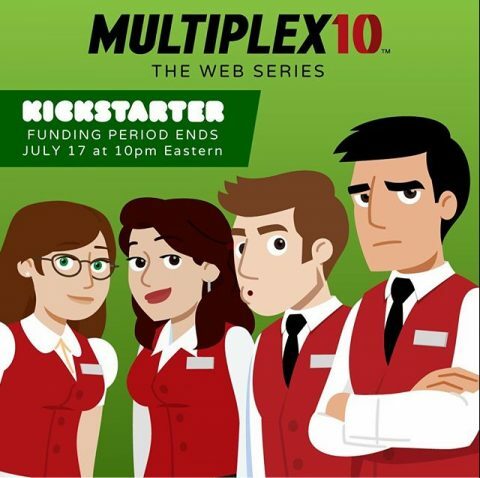 The Multiplex 10: The Web Series Kickstarter campaign ends in just twelve hours! Backers can stream the Multiplex 10 animated short IMMEDIATELY after pledging and get access to all kinds of behind-the-scenes content. Higher level rewards include cameo appearances, producer credits, comic strip movie reviews, ANIMATED movie reviews, and more! Posted in Trailer Watch | Comments Off on The Multiplex 10 Kickstarter ends TONIGHT at 10pm Eastern! There’s no telling how the film will turn out, but the trailer for The Theory of Everything impressed me by having a respectably balanced focus on both the life of Stephen Hawking (and relationship with his first wife) and the work he is so admired for, unlike so many other film biographies of so-called Great Men. James Marsh (Man on Wire) directs Eddie Redmayne and Felicity Jones in the November 7th release.